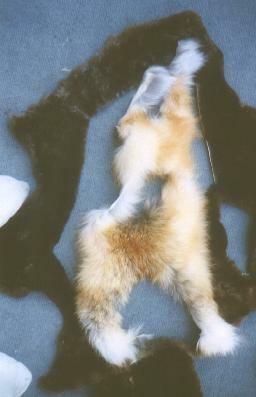 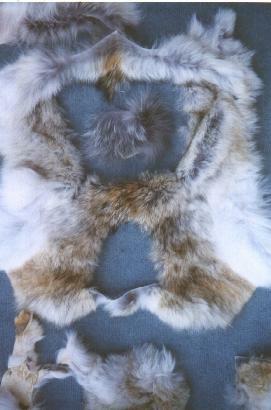 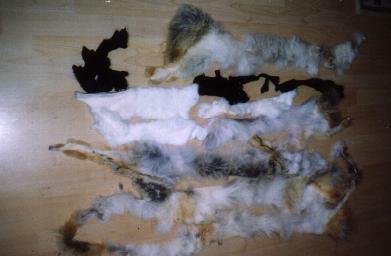 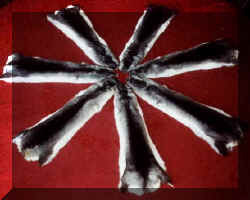 To order 3 pounds of fur pelt pieces for $75.00 including priority mail three day delivery. 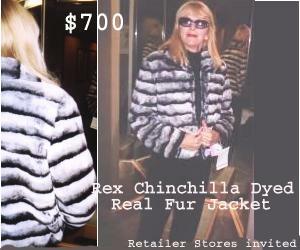 By credit card use your account at PayPal.com and send your payment and order to our email address at PayPal which is: Ebay@PeterPalms.com. 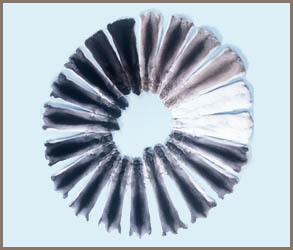 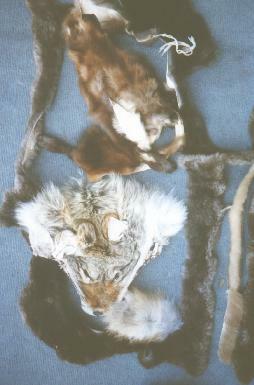 ALSO AVAILABLE: Fur hats, Fur Bedspreads, Fur Quilts, Fur Comforters, Fur jackets, Fur Coats, Fur Vests Fur Plates. 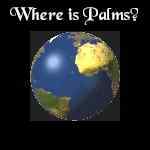 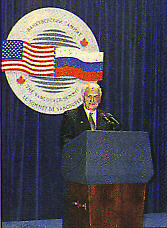 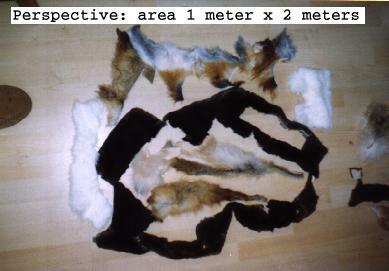 Three pounds shipment only to the domestic U.S. address of international companies for reshipment to themselves by themselves. 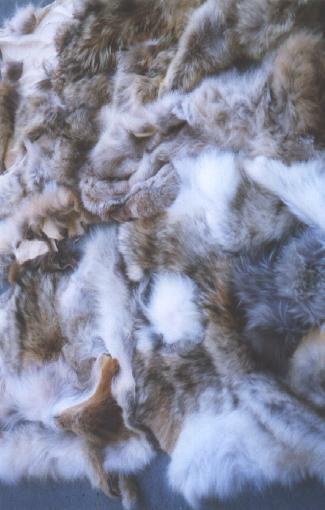 These are large high quality pelt pieces remaining after manufacturing hood trim of 2.5 inches x 25 inches from these pelts for garment manufacturers. 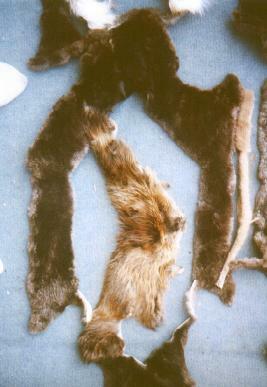 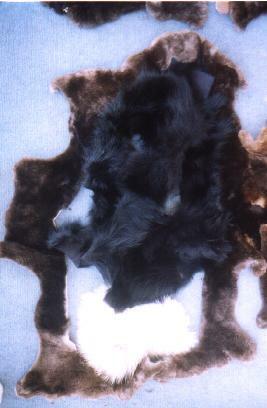 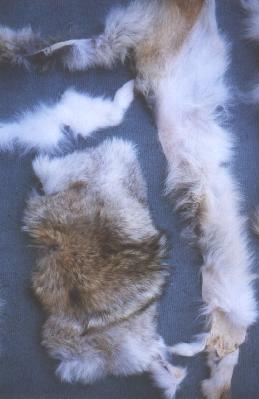 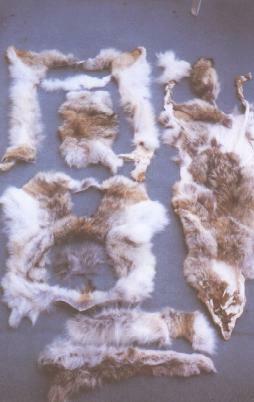 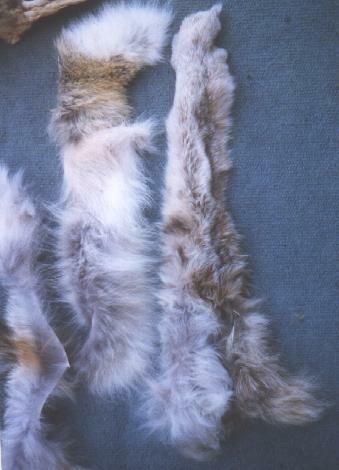 These are highest quality large pieces of the original recently dressed coyote pelts. 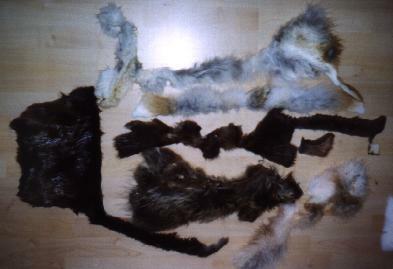 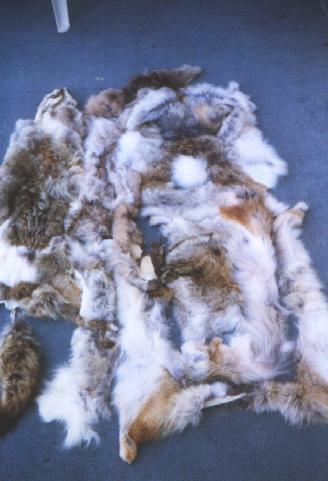 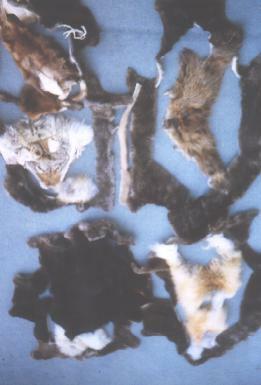 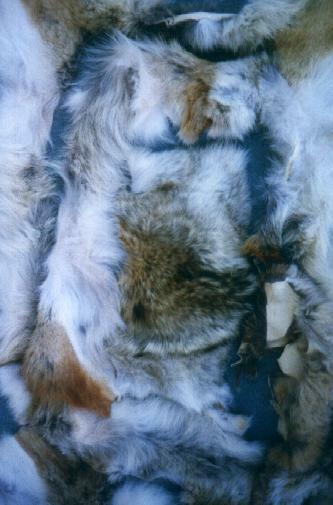 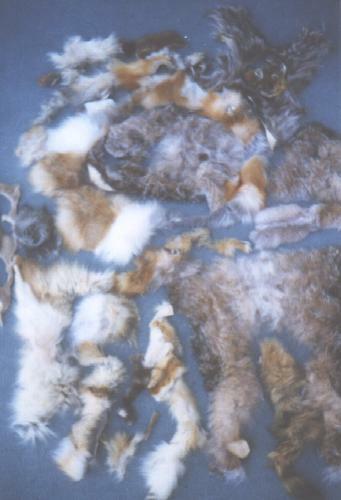 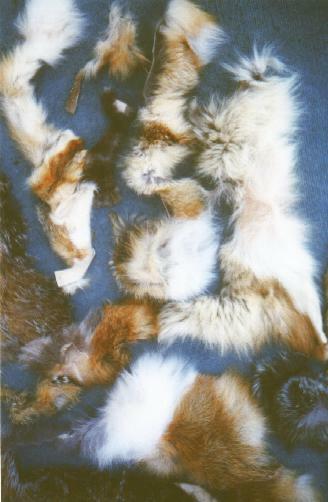 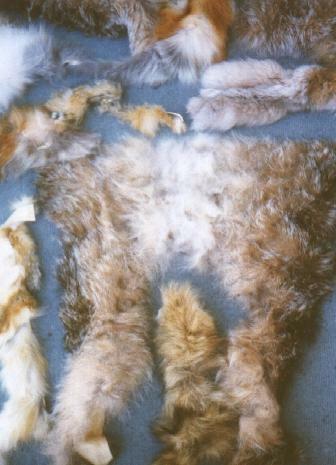 fur pelts, fur pelt pieces and scrap including mink, sable, fox, coyote, muskrat, beaver, sheared beaver, chinchilla, nutria, otter, badger, fisher, artic timber wolf, wolverine, skunk, squirrel, rabbit. 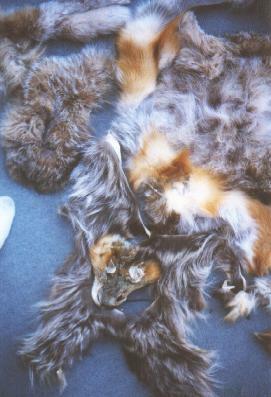 NEED INCOME TO PAY FOR ARTS & CRAFTS SUPPLIES? 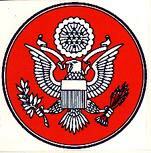 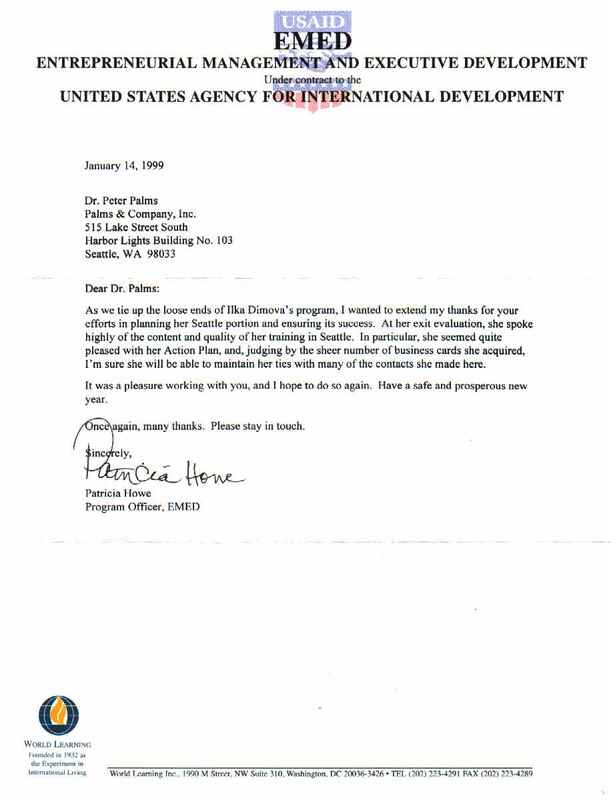 Shipping, handling and insurance in USA $10 per order.